"The Congress has fulfilled its promise to waive farmers' loan in Rajasthan, Madhya Pradesh and Chhattisgarh after coming to power and work on it has begun. The NDA government should also waive farm loans," Ashok Gehlot said. 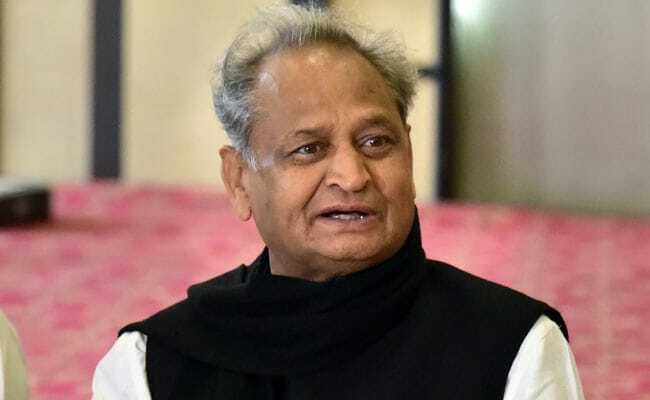 Rajasthan Chief Minister Ashok Gehlot on Tuesday said the Centre should waive farm loans across the country like the Congress has done after coming to power recently in Madhya Pradesh, Rajasthan and Chhattisgarh. He also said a farmers' rally will be organised in the state soon, and the details will be finalised after a discussion with state Congress president and Deputy Chief Minister Sachin Pilot. "The Congress has fulfilled its promise to waive farmers' loan in Rajasthan, Madhya Pradesh and Chhattisgarh after coming to power and work on it has begun. The NDA government should also waive farm loans," Mr Gehlot said. He alleged that the BJP-led NDA government at the Centre had waived bad loans worth Rs 3.5 lakh crore of select industrialists when loans of farmers should have been the priority. "The former UPA government (at the Centre) had waived farmers' loans worth Rs 72,000 crore and the Congress (governments) in Rajasthan, Madhya Pradesh and Chhattisgarh have also announced to waive loans," Mr Gehlot told reporters. Targeting Prime Minister Narendra Modi and BJP president Amit Shah, he said there are only two persons ruling the country. "It is not the BJP that is ruling, but two persons, Narendra Modi and Amit Shah, are ruling the country. The BJP and the RSS people, too, have understood this. There is an environment of hatred, violence and insensitivity. Fake promises were made to the public in the last Lok Sabha elections but things are going to be changed after the (2019 general) elections," he said. Mr Gehlot said PM Modi will not become the prime minister again.